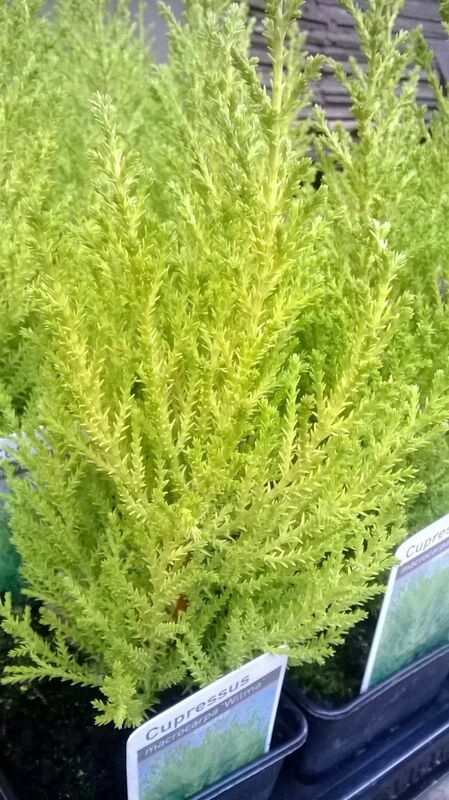 Dense, evergreen column with ascending branches and feathery, bright golden foliage. 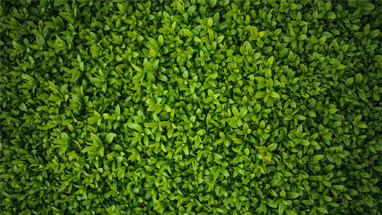 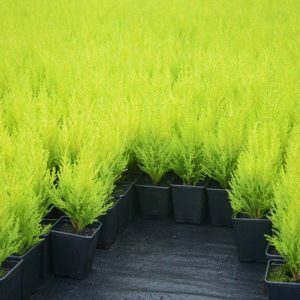 ‘Wilma’ is an easy to grow small evergreen conifer which has a neat and columnar habit. 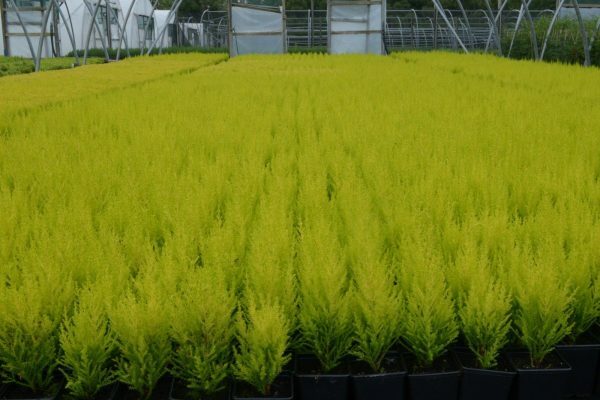 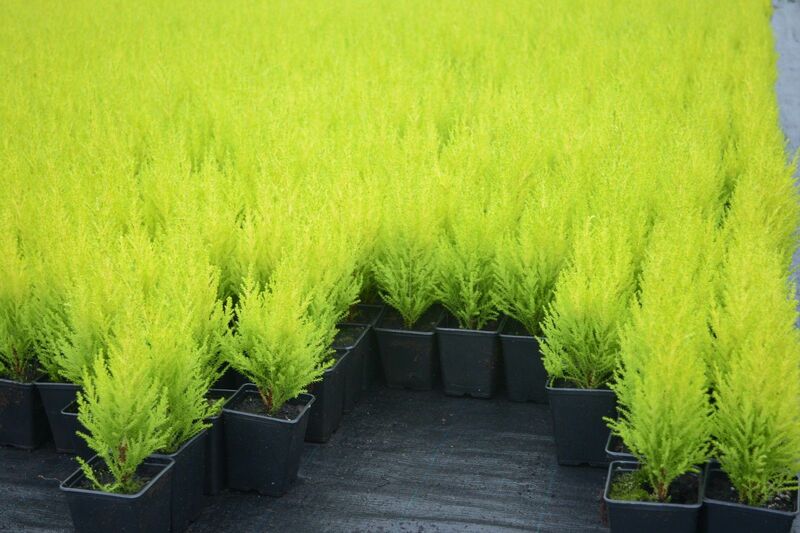 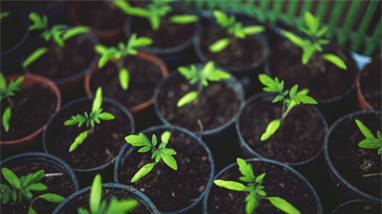 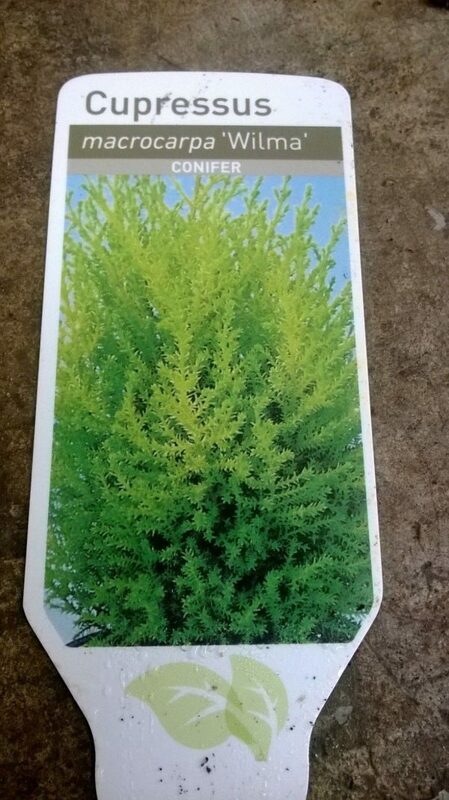 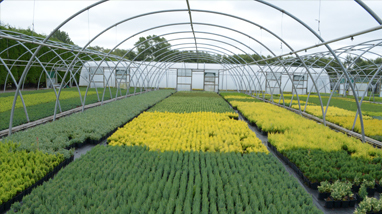 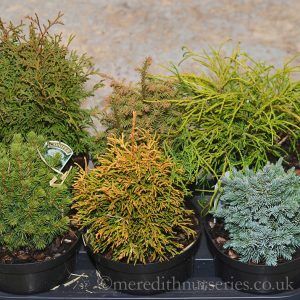 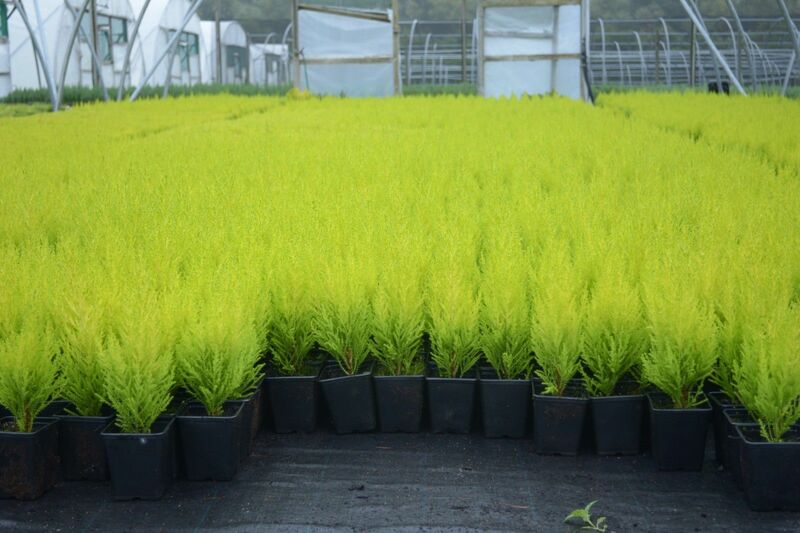 … This conifer is ideal for adding year-round colour to your garden and is well-suited to being planted in a shrubbery or a sunny border. 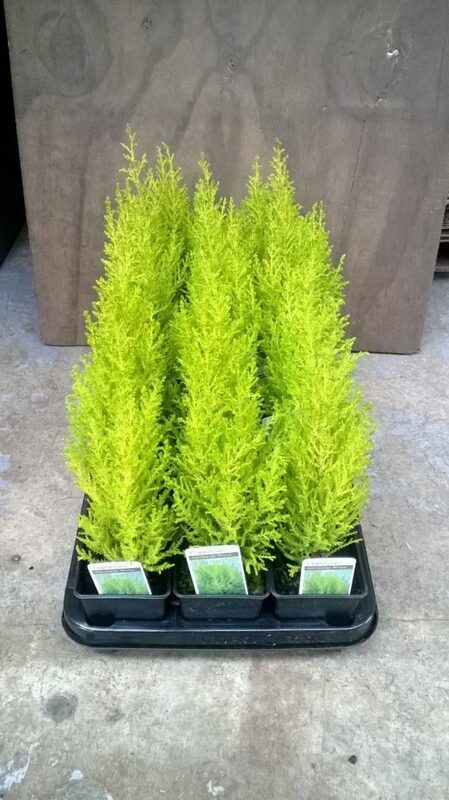 Plant ‘Wilma’ alongside a darker conifer like the Thuja Smaragd for contrasting foliage colours!